Followers of my blog know that I love Synology NAS devices. I still remember the excitement when Nakivo released version 5.8. I mean, I liked regular useful updates in every version but what made version 5.8 so special was integration with WD NAS. There are so many scenarios and situations when backup and NAS integration comes really handy. I admit, while I was excited, part of me was also disappointed. Reason? Nakivo 5.8 release only worked with WD NAS devices. In version 5.9 Nakivo solved that problem and released support for Synology devices as well. In version 6.0 support for Synology devices is greatly improved. What a great news. I would like to share my experience I had while testing latest update. 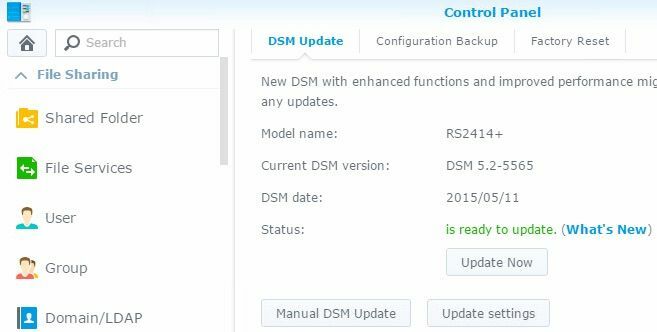 When I was considering which device should I use for this test I decided to go with Synology RS2424+ with Synology DSM 5.2 version installed. I am pretty sure that many SMB’s will save money with Windows Licences and Storage costs. Atom-based devices offer good value and plenty of features. You can easily get a 5 bay – 15TB devices for about $1340 or 8 bay – 24TB device filled with 3TB WD RED drives for $1831. I get great results from Synology devices I use for backup, but in this case, I wanted to see how Nakivo & Synology combination fare if paired only with 2 drives in a mirror. 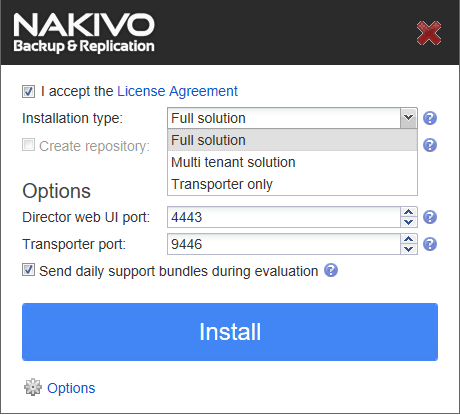 To install Nakivo Backup and Replication 6 on your Synology device first download installation file from Nakivo website. Please note that you should select correct installation file, specialized for NAS deployment. 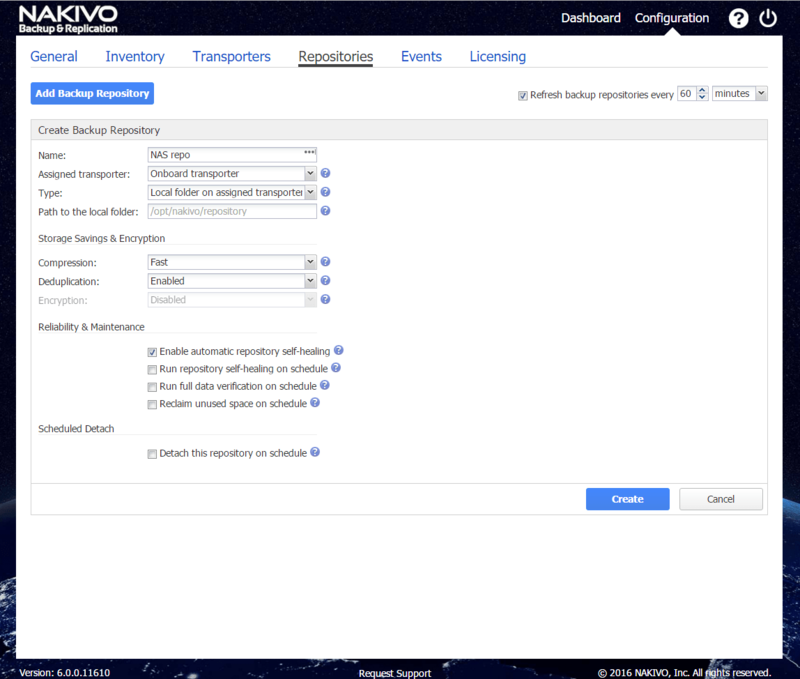 In addition to a NAS installer (which works for WD and Synology devices), you can install Nakivo also on a Windows or a Linux server. I wish all installations were made Nakivo way. Before you start the installation process, you have to enable SSH service in Synology Control Panel. That is the only prerequisite before installation can begin. Installation is very simple, you start by entering Synology credentials and a select only couple of features and you are done. Be advised, to install Nakivo on a Synology NAS, you have to use the user root in the installer. It’s easy to miss that since default Synology account admin won’t work with the installation. On the second screen you select a type of installation – you can choose a full solution, Multi-tenant solution or Transporter only. After you click on a button Install, you have to wait for the installation to complete. This won’t take long. Before you can access Administration console, you have to set a username and a password. choose a transporter and configure backup repositories. Once you complete essential tasks (it only takes you a couple of minutes, you can start with the backup process. Nakivo interface is much more pleasant and professional looking in the latest version but it adheres to the same usability standards which provide all the important information of the running job on a dashboard. 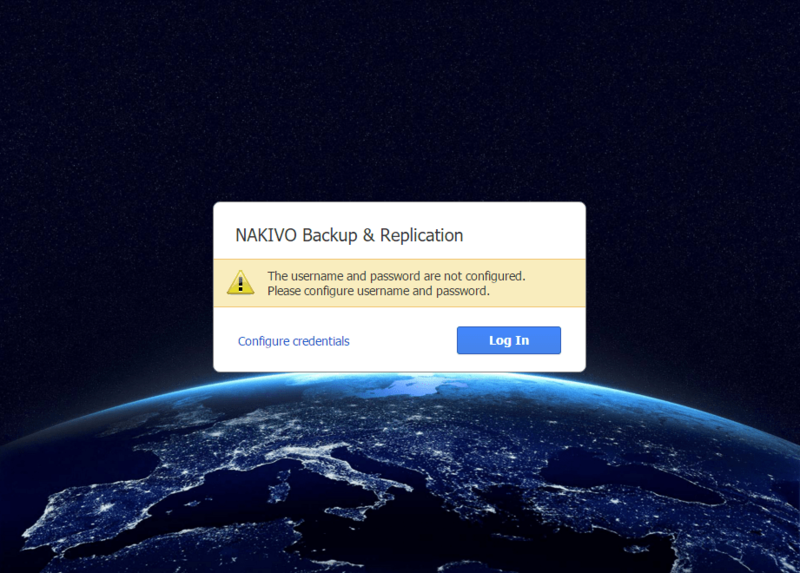 Since Nakivo is a modern backup utilizing the latest technologies you can expect fast backup performance, which is really important as you would want to shorten backup window as much as possible. 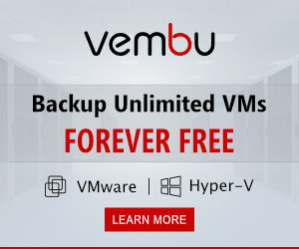 I know that many companies are still using ancient agent-based backup solutions which decrease backup window and put a lot of stress on your infrastructure. Then again, you may be using backup solution from XY vendor promising you great speeds, but in a reality, the speed may be only on the paper. Since I was running Nakivo B&R on an Atom-based NAS, with only two drives, I was expecting a backup to be slow. What I found was quite the opposite. 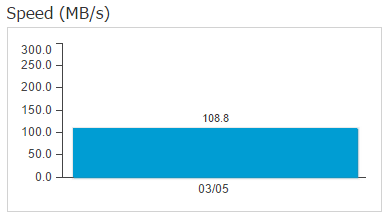 The backup speed of 80MB/s was looking pretty amazing on a low spec. NAS with only 2 drives. I logged into the Synology DSM to inspect what was going on in the background. Cpu utilization was only 54% and RAM consumption was only 37%. Those scores did change a little bit, but CPU utilization never reached 90% which leads me to believe that Nakivo developers are pretty amazing. Even more so, since they were able to create the same program for 3 platforms – Windows, Linux and Linux on a NAS. 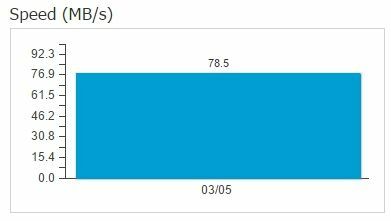 255GB of data were backed up to Synology with 2 3TB drives in 51 minutes with the average speed of 78.5 MB/s. What you can expect from Nakivo installed on Synology device is about 1.7x speed increase compared to running Nakivo in a VM. The reason is pretty simple. When Nakivo is running in Synology the delays of NFS and CIFS are removed giving Nakivo on Synology further speed boost. Now, when I say speed, I mean that. For the past 24 hours, I have been testing several configurations. What I found out was really encouraging, especially since we are talking about ATOM based Synology NAS. I have tested backup with the same set of virtual machines on the same Synology. 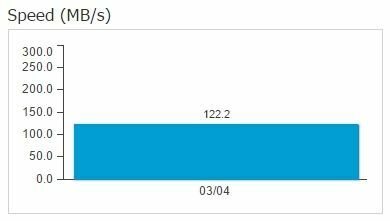 You can look at the first result (left picture below), with the average backup speed of 122MB/s was achieved by using a 512 SSD drive instead of regular 3TB WD red for a repository. 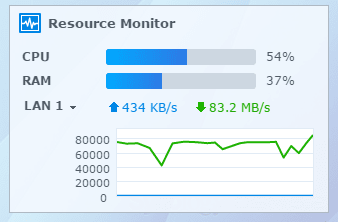 Second test with the average backup speed of 108.8MB/s (right picture below) was achieved using the same 512SSD drive, the only difference affecting backup speed was that it only had 1/3 of space left. The disk is a Crucial M550, I think that by using Samsung PRO series drive, results would be better when SSD disk is having less space. In the end when looking at results, speed is amazing. You can see, that you don’t have to spend a lot of money for a decent backup repository. I think that this feature is as revolutionary as is support for Synology. Running on Amazon AWS is very affordable. Now, the question. 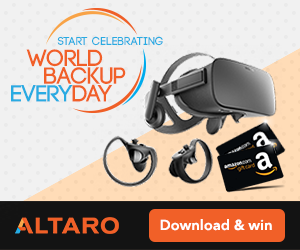 How do you backup your instances? With Nakvio 6.0, this is no longer a problem. Actually, the process is very simple. Just go to Inventory, Add New… and select AWS account. You can backup AWS EC2 instances to any Amazon region or to your local backup infrastructure. You can also use native replication of AWS EC2 instances to the same AWS region or even across regions. 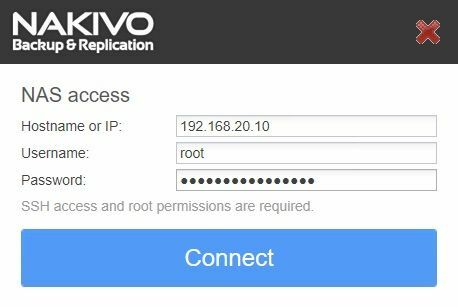 Like it’s name implies, you can use Nakivo to replicate your data to a second server or even a remote location. You can have up to 30 recovery point per replica! WAN acceleration will come handy to IT Managers who have to deal with backing up or storing backup to remote locations. It will speed up data transfer greatly and reduce the backup window. It features Application and Databases support. With Application-Aware mode, you can restore individual application objects. For example, you can restore individual email rather than restoring a complete VM. In addition to Exchange support, It supports Active Directory, MS SQL and Oracle. Backup copy is a feature which can create a copy of your backup. It can be used to send a backup copy to a cloud repository or a remote location. 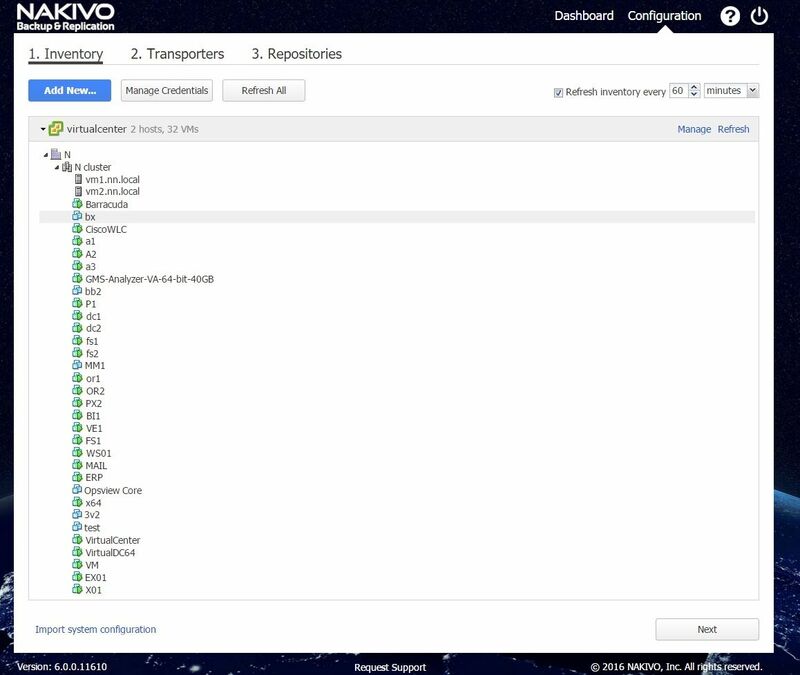 Deduplication used by Nakivo is global, meaning that is used on a complete data store and not a per job basis. That means that all the servers will benefit from the storage savings. In addition, data is compressed for even better space saving. You can easily backup file servers, as all those files will benefit from deduplicated repository. Now, let stop at deduplication for a bit. If you want good results from deduplication, the best option would be to use a dedicated deduplication device or a Windows Server license. Both options cost money. You don’t need to worry about this problem as Nakivo deduplication works across entire backup repository. Flash VM Boot is a feature which enables you to run a server directly from a backup, even though the server is compressed and deduplicated. For improved reliability it can verify VM backup by sending you a screenshot of a restored virtual machines. If you ever used IBM Director back in the Java days, you will know how important is that a program is created with usability in mind. What I love with Nakivo is that even though it has so many features, you have the most important information at your fingertips. I don’t mean to focus on job information only. You can access the most important tasks easily. Configuration is simple and you will not have to think which button to click to get the result. If you are supporting a company, Nakivo will be great. In addition to Backup and Replication, you can create backup replica and send it to another server or location. You can use Cloud services to archive or store your backup in the cloud for increased security. With Synology integration, possibilities are limitless. You can use your remote locations as your private backup cloud. In the past you had to use servers which limited options with the power and size requirements. With WAN acceleration, you can speed up the backup transfer and save money with expensive high-speed MPLS or internet connections. But what is also great is that you can earn money with Nakivo. If you are a company offering IT services, you can also provide cloud backup repository. Pretty awesome don’t you think? Especially if you don’t have to buy expensive add-ons. Considering price of Synology devices and price of hard drives, you can offer pretty good deals for the services and be competitive. 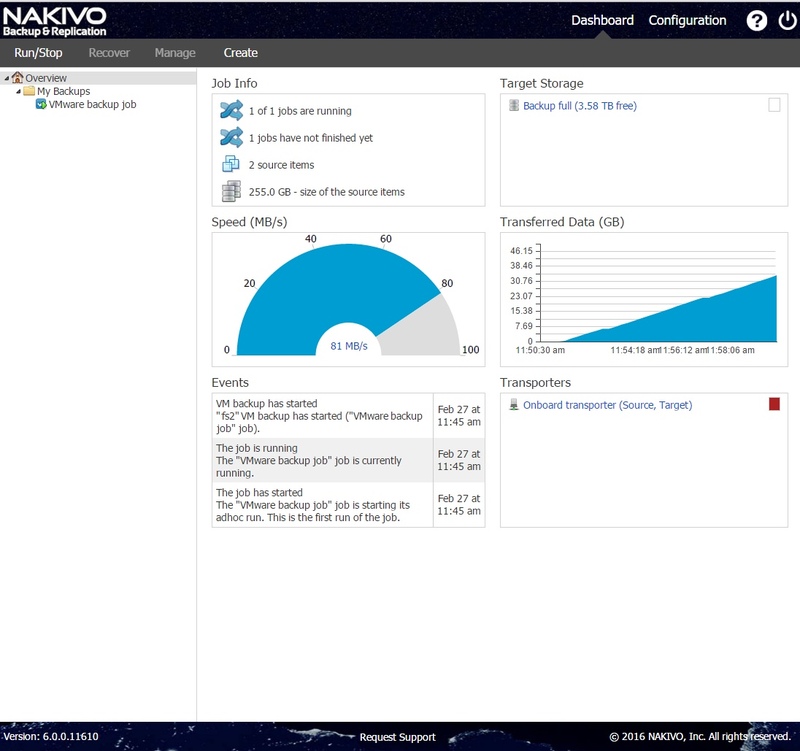 Nakivo set a new era for backup solutions. Even though the company is quite young, it caught up with competition. With version 6, they set a new standard for a backup product. I only hope they release support for Hyper-V. Backup speed on an Atom-based NAS with 2 drives is great. Imagine having Synology with a better CPU, 10GB network and SSD caching. Hardware appliance-based backup companies will get hard time selling solutions. And one more thing, if you are still using legacy product which has a yellow color in a logo, I think that the time is right to consider a modern product.